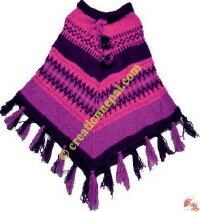 Creation Nepal manufactures and sells woolen poncho, cotton poncho, acrylic poncho and recycled silk mixed poncho of different design and colors at wholesale price. 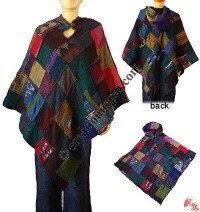 These ponchos are entirely hand made and are rich in quality with vivid color combinations. 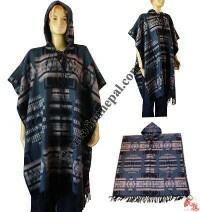 Creation Nepal is manufacturing and exporting woolen poncho, acrylic poncho, gheri cotton poncho, cashmere pashmina ponchos made by skillful hand knitters produced by home based fair trade business. 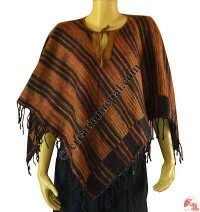 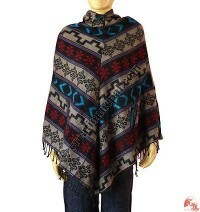 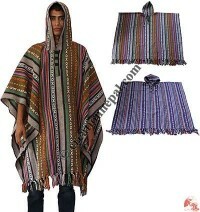 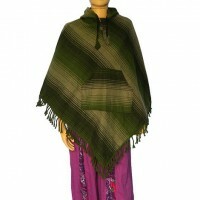 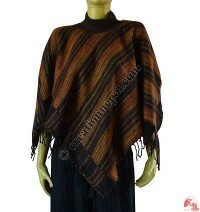 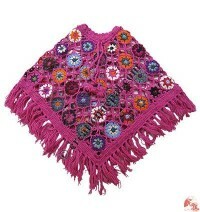 These ponchos are entirely hand made and are rich in quality and vivid color combination. 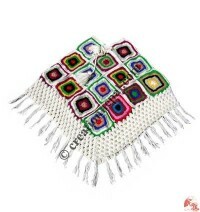 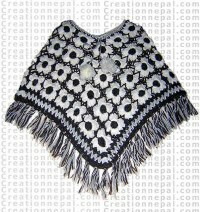 Creation Nepal has various design ponchos like acrylic-cotton hooded poncho, cotton patch Woolen poncho, mixed color woolen poncho, woolen poncho, single ply poncho, double ply poncho, patch poncho, Hooded woolen poncho, square poncho, cotton net poncho, colorful flowers poncho, cotton net 2-color patch-work poncho, crochet cotton poncho, acrylic-cotton hi-neck poncho, lambs raw-wool poncho, lambs wool poncho, acrylic-cotton poncho, colorful gheri cotton poncho, etc. 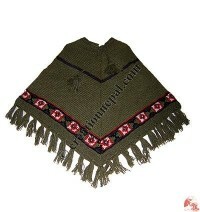 Similarly we have other ponchos like cotton patch woolen poncho, flowers woolen net poncho, colorful net woolen poncho, acrylic-cotton hooded poncho, single ply poncho, double ply poncho, two ply poncho, patch poncho, hooded woolen poncho, crochet cotton poncho, colorful gheri cotton poncho, flowers woolen net poncho, plain color crochet poncho, recycled silk frills woolen poncho etc. 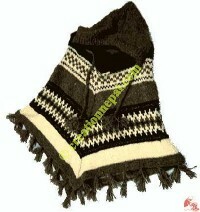 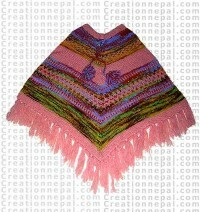 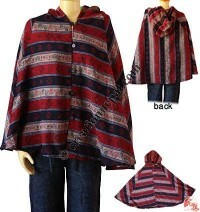 Creation Nepal also accept the custom design and custom colors of Nepal ponchos. 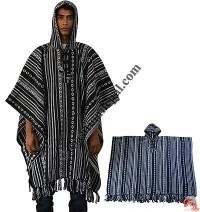 At present we have more than 45 different colours available for our woolen poncho, interested buyers can request us for color-chart in email for custom color pattern.